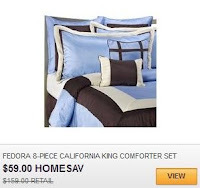 7-piece Comforter Sets as Low as $38 and Aprons only $8! 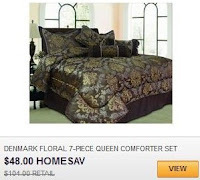 HomeSav is having a great comforter set sale going on right now where you can get 7-piece sets for as low as $38! 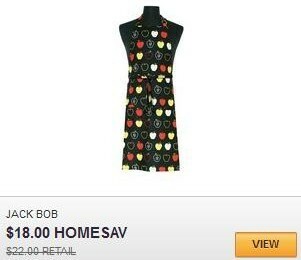 As you can see in the photo above, the price is $48, but new HomeSav shoppers get a $10 credit, making it just $38. There's also a down alternative 5-piece set that would only be $30 after credit! There's lots of different styles and sizes to choose from. Shipping is around $7-$8. You can also score aprons for just $8 after credit! Check out the ASD Living sale to see the choices.